An Indian state has announced a plan to provide universal basic income to each and every one of its 610,577 citizens. This would be the world’s largest experiment of this type. Sikkim landscape. Image in public domain. Bordering Tibet, Nepal, and Bhutan, the Indian state of Sikkim nestles in the Himalaya mountains. Its elevation ranges from 280 meters (920 ft) in the south to 8,586 meters (28,169 ft) in Kangchenjunga, the world’s third highest peak. Its soil is unfit for agriculture and, aside from its lush forests, it doesn’t have many resources to boast. Even so, Sikkim is one of the most progressive states in India — and the world. In 1998, it issued a single-use plastic ban, and in 2016, it took things even further, banning the sale and use of styrofoam and disposable plates, cutlery, and food containers. It’s also an “organic state”, effectively banning chemical pesticides and fertilizers. Its social indexes also are very different from most of India. Its literacy rate, for instance, is 82% — compared to a 30% average for India. Just 8% of Sikkim people live below the poverty line, and Sikkim sells 90 percent of its hydropower, which it generates as a surplus to its own needs. Even when compared to the neighboring states of Bhutan and Nepal, Sikkim is a model state. Now, it wants to take things even further. 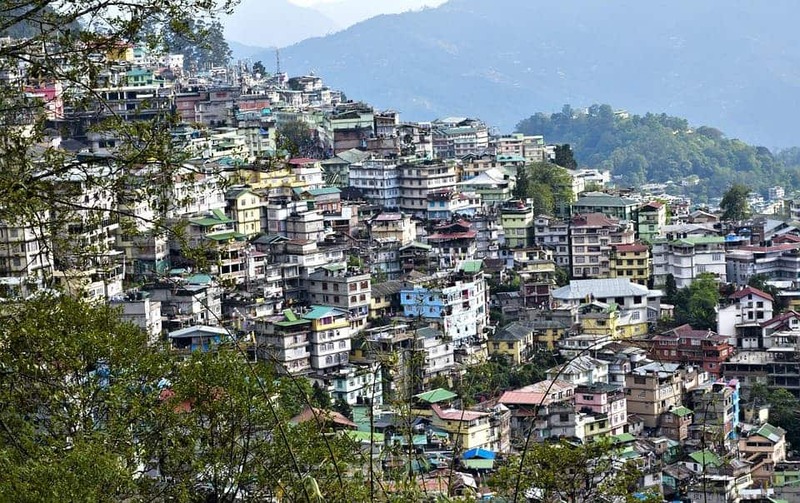 Sikkim’s ruling party has announced an ambitious plan to implement a universal basic income for all its people. Universal basic income is a topic which has been picking up massive steam in recent years. The fundamental principle is that you take state money and offer it unconditionally to the people. As crazy as it seems, the idea is not really that crazy — at least according to many economists. The downside, of course, is that you give your people free money — which could serve as a disincentive to work and reduce overall productivity. Supporters of the universal basic income (UBI) argue that not only has our productivity increased to the point where many societies can afford a UBI, but overall productivity would increase because people would be more motivated to work in areas which they are passionate about. With job automation becoming more and more prevalent, we just might not need people to work all that much — and if they do, they’d be more productive, supporters say. A UBI would also help to reduce poverty and alleviate the wage gap, which seems to be continuously increasing in recent years. Few large-scale experiments have been carried out — and this is exactly why the Sikkim plans sound so intriguing. “If there is one chance of it happening anywhere, it is Sikkim,” said P.D. Rai, the sole member of India’s Parliament from the state. Rai decline to provide specifics regarding this program and said that it is ultimately a “matter of political will” if the UBI experiment will take place or not. While this is still far from a done deal, it raises some interesting prospects — especially as economists are still torn when it comes to UBI. For instance, a program in Uganda randomly awarded grants of $382 to 535 young applicants aged 15–35. The results showed that “the program increases business assets by 57%, work hours by 17%, and earnings by 38%”. India itself had another UBI pilot which started in 2010, involving 20 villages. Villagers who received the income spent more on food and healthcare, children’s school performance improved in 68% of families, while new business start-ups doubled. Both experiments were considered a success. Finland is also undergoing a national UBI pilot, but while preliminary results look good, definitive results are still a year away. “UBI is a scheme that a number of economists have talked about and it works well in developing countries. It has been tested even in India, debated within the Finance Ministry as early as 2017,” Prem Das Rai, SDF MP in the Lok Sabha told the Indian Express. While universal basic income is still far from being a proven approach, it’s made a convincing case for itself. The Sikkim pilot could be important not only for the locals — but could serve as a stepping stone for other projects in the future.